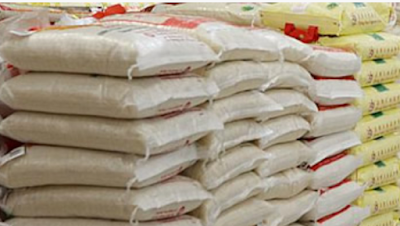 Members of the Senate have donated 1,280 bags of rice as of Wednesday to Kogi State Government workers owed salaries. This was made know by lawmaker representing Kogi West Senatorial District, Senator Dino Melaye, at a press briefing on Wednesday, where said he was spearheading donation of relief materials to Kogi workers over unpaid salaries. Melaye said, “Today, I drew the attention of the Senate of the Federal Republic of Nigeria to the plight of civil servants in my native Kogi State following the recent disturbing reports of deaths by suicide and inability to pay medical bills by some workers. “I’m happy to report to you that my colleagues in the Senate have immediately responded by donating bags of rice and other essential items to the workers in order to cushion the biting effects of non-payment of their salaries by the Kogi State government.